While the medical spending and the functional limitations of patients with chronic diseases continue to rise, telemedicine brings in new and better models of care along remote monitoring of key health metrics for improving the delivery of care and health outcomes. An early provider of Remote Patient Monitoring (RPM), ForaCare was founded with an aim to complete the cycle of chronic disease management by combining innovative technologies and clinical applications. An experience of over 20 years in the industry combined with technological expertise is helping the company to meet the growing demands of RPM along with assisting care providers to take advantage of the recent changes in the CPT code of reimbursement. A fully-integrated healthcare technology company, Foracare is on a mission to improve patient care for chronic conditions including diabetes mellitus and hypertension. With a sharp focus on patient monitoring, ForaCare designs, manufactures and sells advanced, easy-to-use, accurate products powered by wireless connectivity for both patients and healthcare professionals. These products involve innovative medical devices, mobile applications and web-based telehealth solutions for covering multiple parameters including diabetes, hypertension, CHF and COPD care, through remote monitoring. 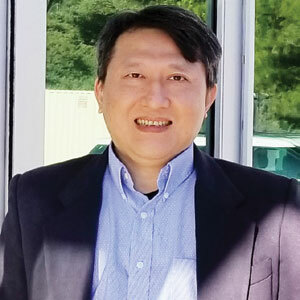 “Catering to the diverse needs of private and commercial health plans, EMEs, medical equipment companies, pharmacies, systems integrators, home agencies and telehealth system organizations, our product portfolio is knitted well with telehealth systems, along with R&D support and the technology that adapt to their needs and total support capabilities,” says James Hsieh, Director of Sales and Business Development at ForaCare. What places ForaCare a cut above the others is their technology and ease of use. A step ahead of their peers, ForaCare connects telehealth systems through cables, Bluetooth technology, and cellular connectivity. With the cellular connectivity, the deployment of telehealth systems and products is much easier and it also increases the patient compliance in terms of using a reader. With ForaCare, patients have better access to their health data and caregivers can remotely monitor the patients’ health conditions via the Internet. The software accurately collects data in a digital format and incorporates it into a digital record that can be securely transmitted. Patients, family, caregivers, and consultants can easily analyze health records remotely and respond efficiently. The company’s proprietary cellular connectivity-enabled product, Fora D40g can remotely monitor and adjust treatment plans to keep the diseases under control. This product allows patients to easily monitor their blood glucose levels and blood pressure by themselves or with the help of a caregiver at any place, any time. In an instance, the company has helped the Medical University of South Carolina to manage diabetes. They facilitated the monitoring of health metrics in the patients by providing remote tools to the university. The university used ForaCare’s glucose and blood pressure meter, after which the information was transmitted to 24/7 Healthview TeleHealth System via monitoring system. The TeleHealth System evaluated the metrics to generate results and send it across to the university in real time. By integrating ForaCare’s tools and its clinical program, the university was able to bring the HbA1c level in the diabetes patients from 13 percent to 8 percent. A newly added member in the healthcare market, Fora GTel— Cellular Multi-Functional Blood Glucose & β-Ketone Monitoring System—automates the uploading process directly into the Electronic Health Records using cellular connectivity so that glucose reading reaches the telehealth system. The company is still adding features into this system and will roll out these new features in February. These features will facilitate a multitude of functionalities including; two-way text messaging between telehealth systems and patients or caretakers, and an easy reimbursement and compliance with RPM. 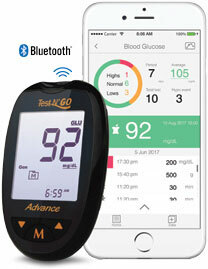 The company provides Test N’GO Advance Voice Blood Glucose and β-Ketone Meter to examine and evaluate the exact blood sugar and β-Ketone level in the blood. The solution also enables higher-quality care between face-to-face encounters, which results in improved patient self-management. Moving ahead, ForaCare will continue to improve the chronic disease management and customize the remote monitoring.